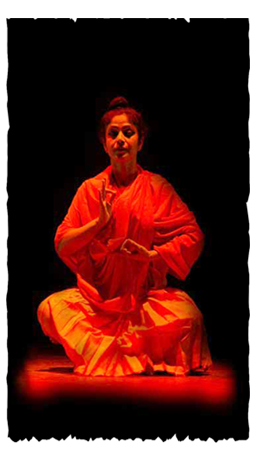 Inspired by the angst and agony that made Siddhartha into Buddha, Shankaranada Kalakshetra, produced Buddham Saranam Gachchami, a dance ballet set to Sanskrit verse and Bharatanatyam, wherein the life and philosophy of Lord Buddha is delineated. Premiered in January, 1995, in the august presence of Sri T.N. Seshan, the former Chief Election Commissioner of India, the ballet has since been performed at major festivals such as Pune Festival, Konark Festival of Dance Ballets, Govt. of A.P., SICA Nrityotsav Lumbini Festival, Buddha Jayanti Celebrations, in Burma and Laos during the 50th year of India's Independence, etc. and has been blessed by leading Buddhist monks from India and abroad and has been staged 35 times till date.